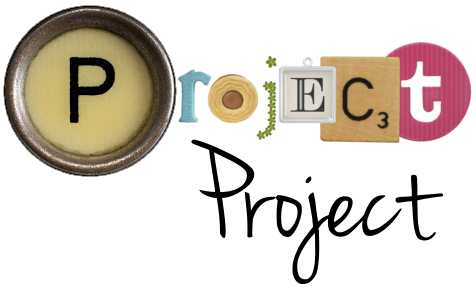 Project Project: Project Baby: A Report From the Trenches and a Little Giveaway! Project Baby: A Report From the Trenches and a Little Giveaway! Seeing as we are now only five little days away from The Due Date, I thought it would be appropriate to emit a little sign of life, and affirm that, yes, we're still here, and no, we haven't had the baby yet. We have, however, reached the point in which I answer the phone and people are disappointed to hear my voice. When we see someone we know, there's always that quick little glance to ascertain that I am indeed still pregnant. But I do that too, so honestly, who can blame them? My days are a getting a little weird. I've been trying to sleep in as much as I can (because hauling a bowling ball around with your stomach muscles can be a little tiring), but can't really make it much past nine. So I get up, get dressed (AKA, pull on the only nightie that fits under my robe that hardly ties anymore) and meander downstairs. Then I pour myself a bowl of cereal and curl up on the couch. Which is where I typically stay all day long, mostly hooked up to my laptop. I read blogs, I Facebook stalk, I chat. I occasionally get uncontrollably emotional and make weepy phone calls to Nick at work. I talk to my mum a lot. I occasionally watch TV (mostly What Not To Wear, but never A Baby Story). I made dinner yesterday, and considered it a Personal Triumph of Great Dimensions. In short, if I wasn't 9 months pregnant, I'd be admitting myself to some sort of clinic. Thank goodness for lovely friends like Karen who are willing to drive down from Provo with heaps of DVDs for me, including the 6-hour BBC Pride and Prejudice and all five seasons of Angel. And thank goodness for lovely friends like Annika, who are not only willing to brave the UTA bus system to come and spend an afternoon with me, but bring pumpkin cookies too. And thank goodness I only have a another week or so to go! It's been fun, it's been real, but now it is time for this pregnancy to be done. Which brings me to our Giveaway! As is tradition here in bloggyland, I (together with my lovely spouse, Nick) am hosting a Guess the Birth Date/Weight/Height Giveaway so y'all can be part of the fun. The competition is open frommmm....... NOW! and until the very moment he is born. We will be checking the time stamp on your guess so there can be no cheatering. I know what you're like. Enter the giveaway by leaving a comment with your guesses on this post. Date: The most accurate guess wins. if you're the only one with the right day, boo-yah, you win. However, if more than one person picks the right day, we'll go to the hour, then to the minute, etc. If there is a day/hour/minute/second tie, the first poster wins. We will be counting in Mountain Standard Time (GMT -7), so don't try anything funny with time zones. Weight: Again, the most accurate guess wins. We will be accepting guesses in both metric and imperial measurements (pounds and kilos). Whoever guesses the closest wins. In the event of a tie, the first poster wins. Height: Same as for weight, only with inches and centimeters. Again, if there is a tie, the first poster wins. In the event of one person guessing correctly in more than one category, we will simply deem them extra awesome and the winner of both prizes. If they get all three correct, we will be a little creeped out. As first time parents, we are under no obligation to get your prize to you in a timely manner. But by Christmas for sure. Or at least by the baby's first birthday. Which brings us to prizes! One certificate of achievement, deeming you the Grand Poobah of North Family Baby Guesstimation. Photographic documentation of the Man Himself - WHICH YOU MUST TREASURE ALWAYS! Something baby-related. Rest assured that this will indeed be tailored to your specific phase in life. Something hand-made and/or edible. Because that's just how I rollz, yo. And finally, a little bonus for those of you who are still reading! In the interest of fairness and full disclosure, we will let you in on a few of the things we already know about our baby. The estimated due date is Tuesday, February 16th. He's big! At our 39 week ultrasound, the doctor estimated him to weigh about 9 lbs 2 oz or 4.14 kg. Bear in mind that ultrasound estimates have a margin of error of one lb ( 450 gr.) in either direction. If he hasn't arrived by then already, we have the option of being induced on Monday the 15th. Probably around lunch time. Let me be clear in stating that this "option" has pretty strong appeal to a woman who can't see her own feet. In case you know what to do with this information, at the ultrasound earlier this week, his femur was measuring 77 mm or just over 3 inches. Date: Sprinkle is currently living the life of cush right now, and I think he won't be eager to leave it. I think he'll arrive ON his due date, Tuesday the 15th, in the afternoon. Say between 2 and 3pm. He will be the cutest baby we all ever has senn inn that moment we see him... ofcourse mine are cuter thi hi ..
Im not really aiming for a prize (especially since it's not worth mailing over seas! haha), BUT I am going to guess in 2 categories because it is fun! LOVE YOU TAMSIN-PIE! I can't wait to see you and my new nephew! HOORAY FOR YOUR LAST WEEK! he will weigh 9.10 and be 20.5 inches long. For your sake, I really hope he's not 10 lbs! Hooray Sprink! We can't wait for you to get here! Hm...tar det på norsk jeg da. 4,1 kg (9,04 lb), 53 cm lang (20,87 in) og jeg tror han blir født 14. februar - sånn ca rundt midnatt. Congratulations on a new North. Cute: Of course! And he'll have a smile that will melt you. The first one ia almost always late, and I'm guessing this little guy will be on North standard time AKA Mormon Standard time. Our prayers are with you that you have a quick easy delivery and that I am way wrong about the late thing. 55cm, 4700 gram, onsdag 17 klokka 2342. I'm a hopeless guesser, but want in on the fun. ETA: Tuesday, February 16th, 2:46a.m. I'm super dee dooper excited to see that adorable North baby!! I'm Kristen Hopkins' mom. We always did this with our puppies when I was little, then we transferred it to babies after marriage. Now to grandkids. Just in case, for survival's sake, just know that overdue is NOT the end of the world. Kristen was 18 DAYS OVERDUE!!!! I kept going to church and wanted to wear a big sign that said, "YES!!! I'm STILL pregnant!!!" They tried starting me at 14 days over, but the labor wouldn't continue. Kristen finally came on her own 18 days over. And she only wanted her mama from then on for about 7 years.